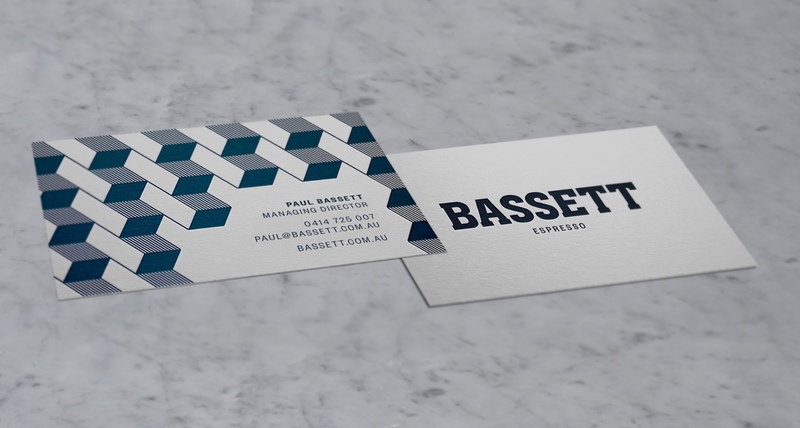 Bassett Espresso is the personal expression of Paul Bassett. 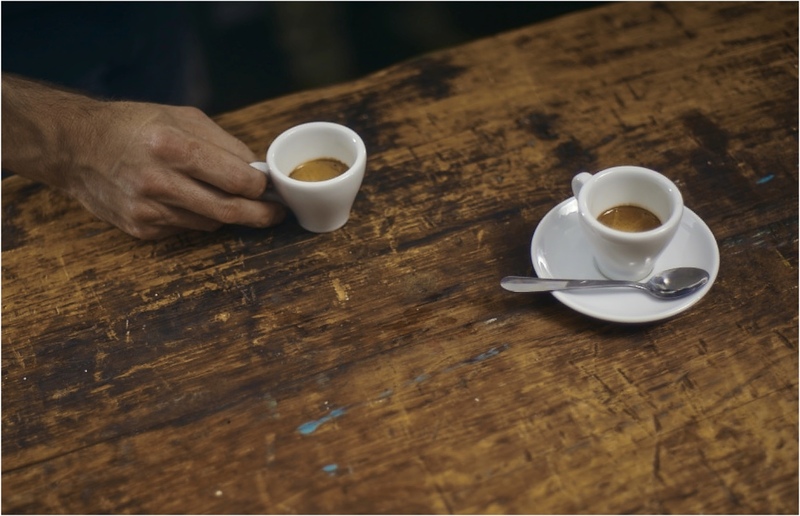 It is a symbol of his relationship with coffee, capturing the imagination and potential of quality espresso. 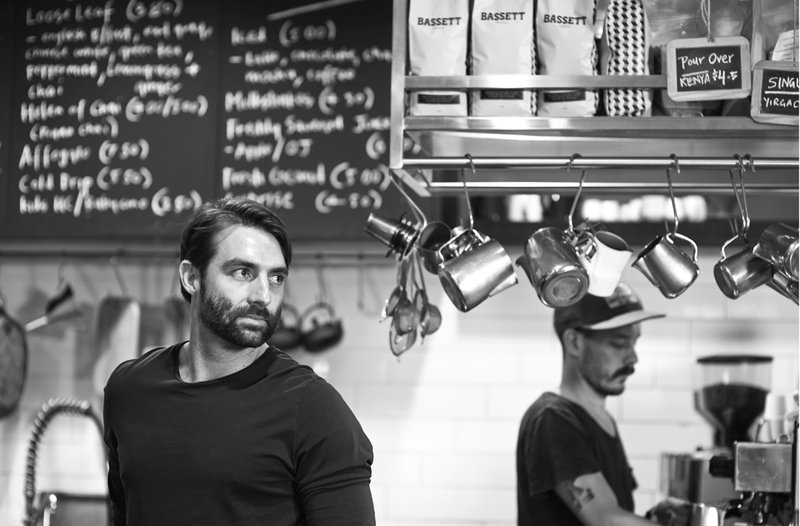 Paul Bassett, former World Barista Champion, is the visionary behind Bassett Espresso. 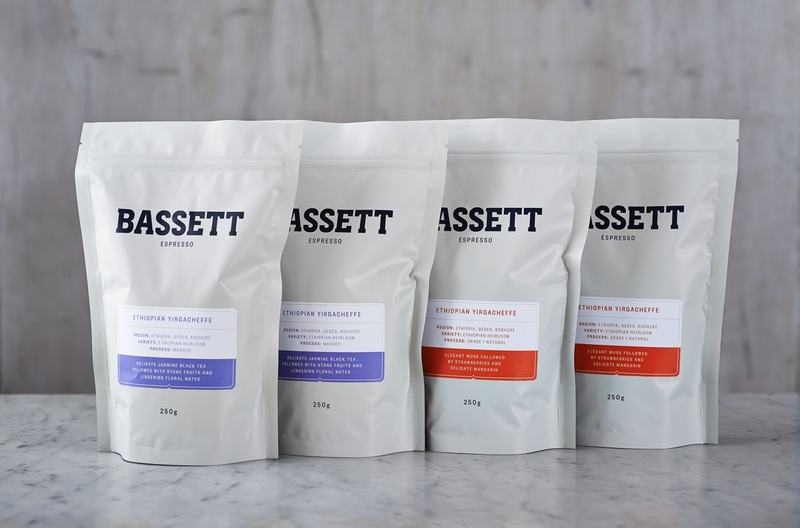 From the moment Paul presented us with the challenge to reinvigorate his existing coffee brand, we recognised what was to be a truly rewarding collaboration. 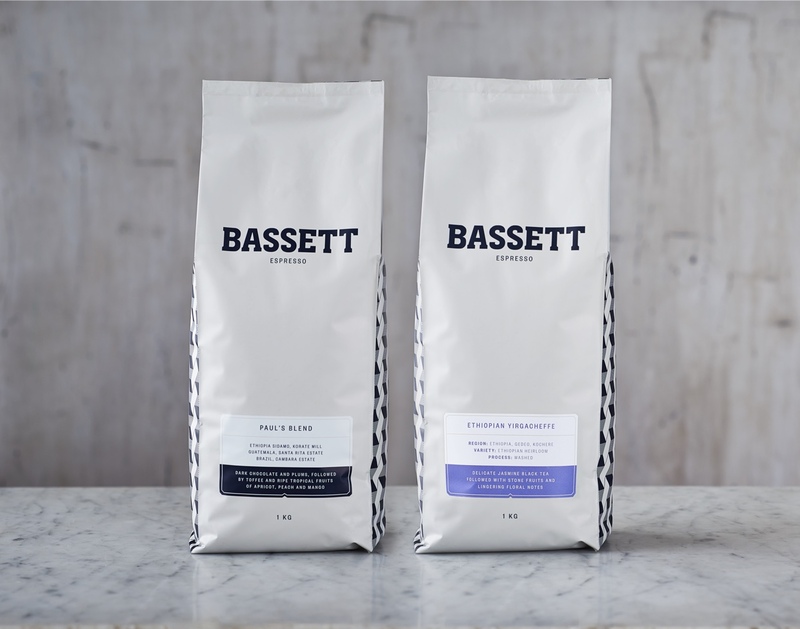 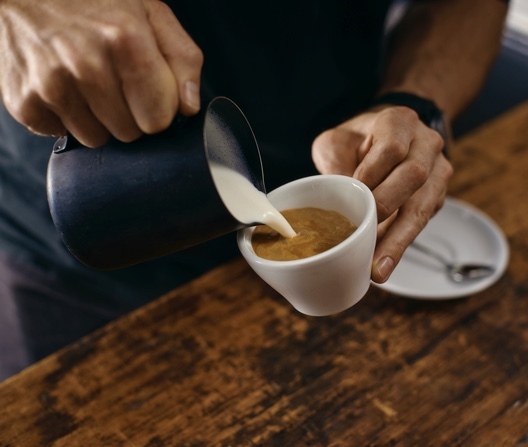 Our challenge is to ensure that the brand confidently represents Paul Bassett and his unique approach to producing quality coffee whilst creating a highly marketable product with strong retail appeal. 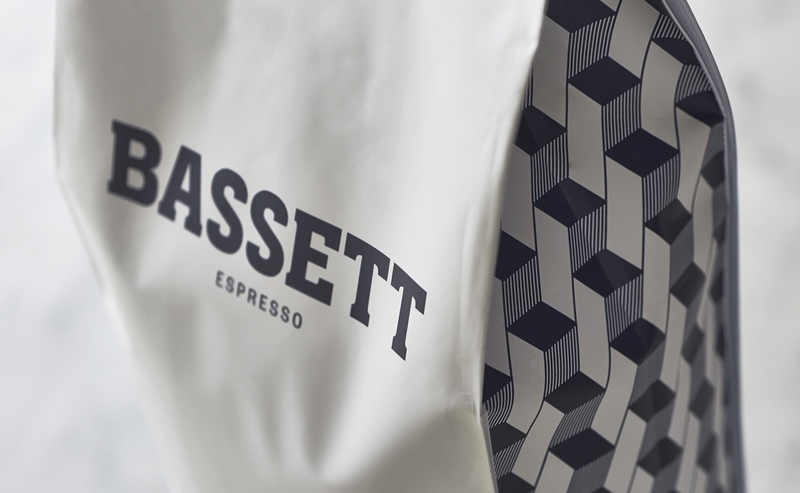 The custom pattern is derived from a European tessellated tile pattern. 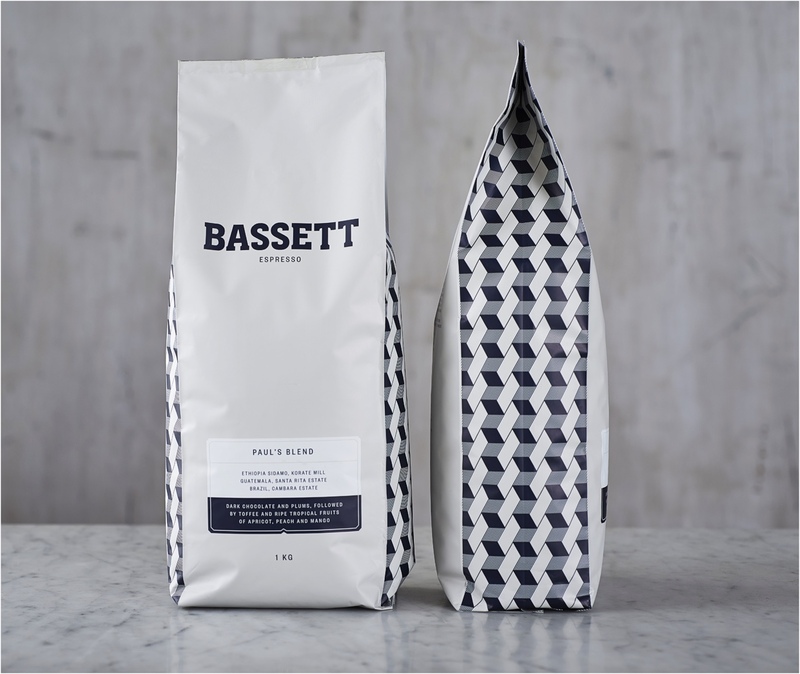 The graphic seamlessly aligns art and geometry, symbolising Paul’s approach to coffee as both creative and technical.